Among the spring greens at the farmers market was some fresh picked lettuce. I got the most beautiful bag that had 2 bunches of romaine lettuce from one of the local farmers. Today was a day I wanted to put together an easy and quick meal and this Fresh From Oregon lettuce was on the menu tonight. This salad is great for a quick meal, family gathering and parties. It is important not to add the dressing until just before serving. The dressing has a sweet and tangy taste and is perfect with my combination of Fresh From Oregon lettuce, hazelnuts and cranberries. 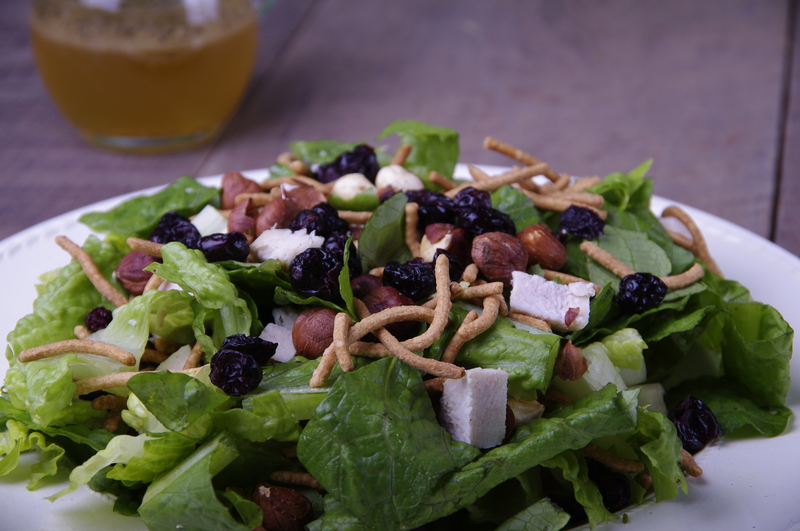 Enjoy a spring day with this refreshing salad. 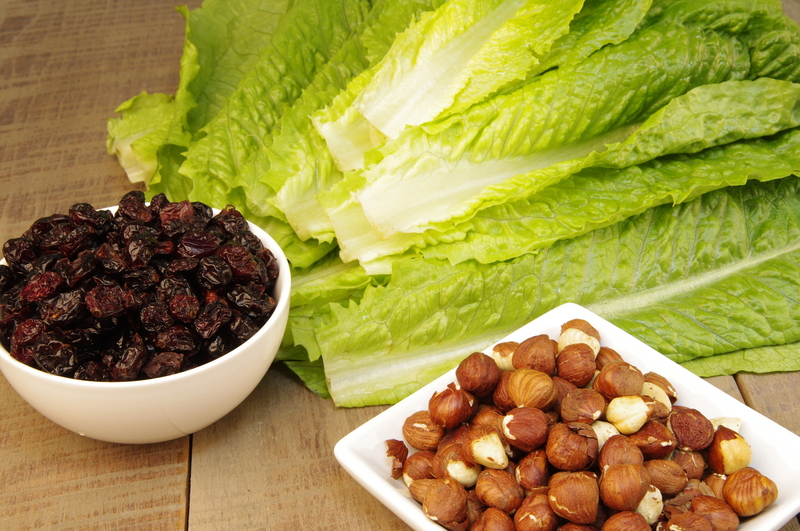 Cut the romaine lettuce into bite-size pieces and divide between two plates. Evenly divide the chicken, hazelnuts, cranberries and chow mein noodles between the two plates. In a pint jar combine all the dressing ingredients and give a few good shakes until it is thoroughly mixed. Pour over salads and serve. Makes two large salads or can serve 6 people with smaller portions.